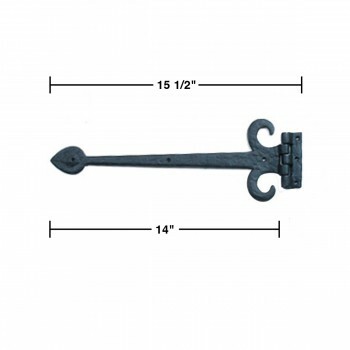 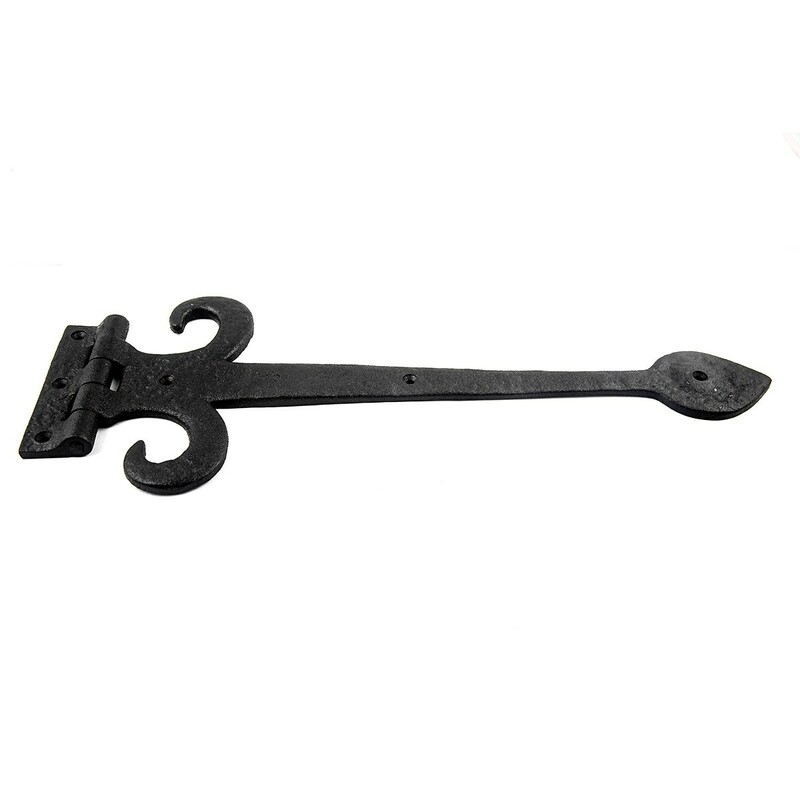 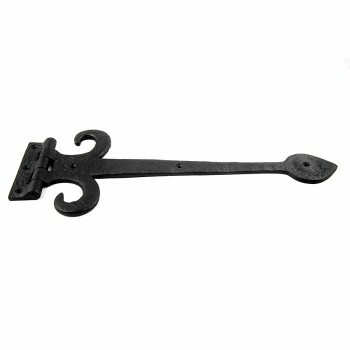 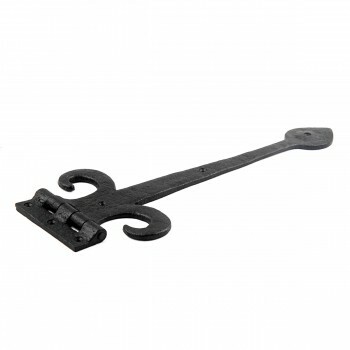 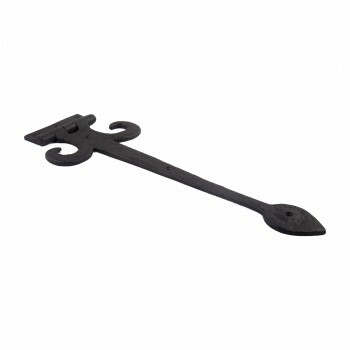 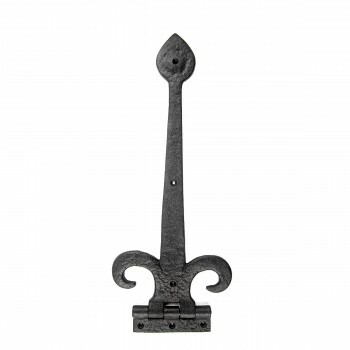 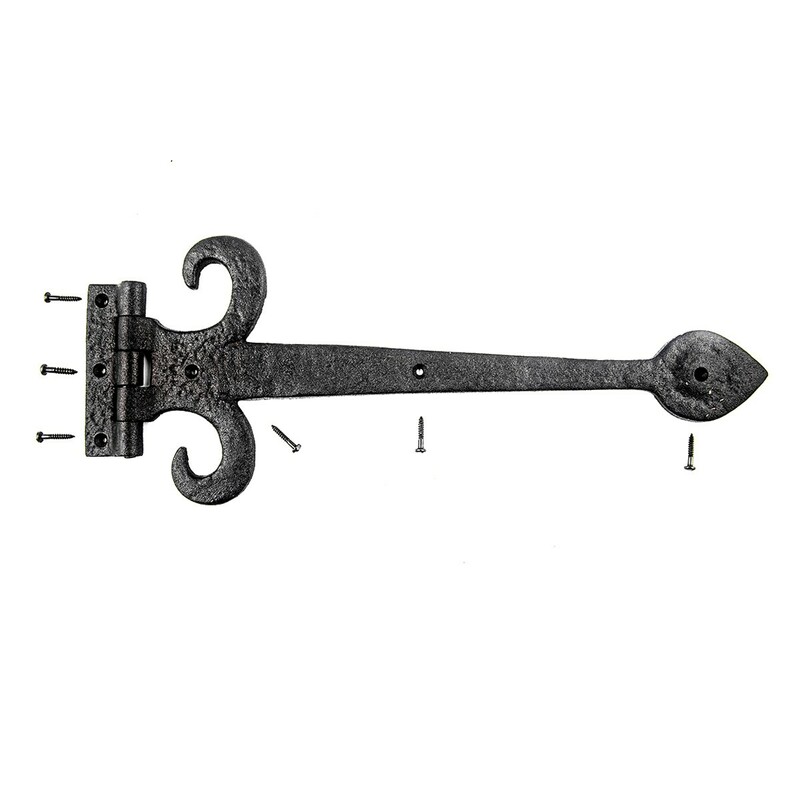 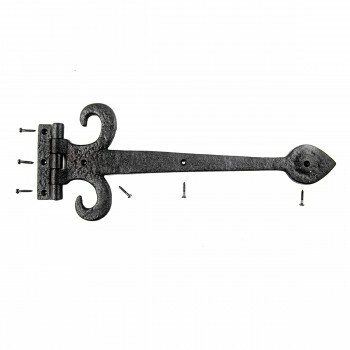 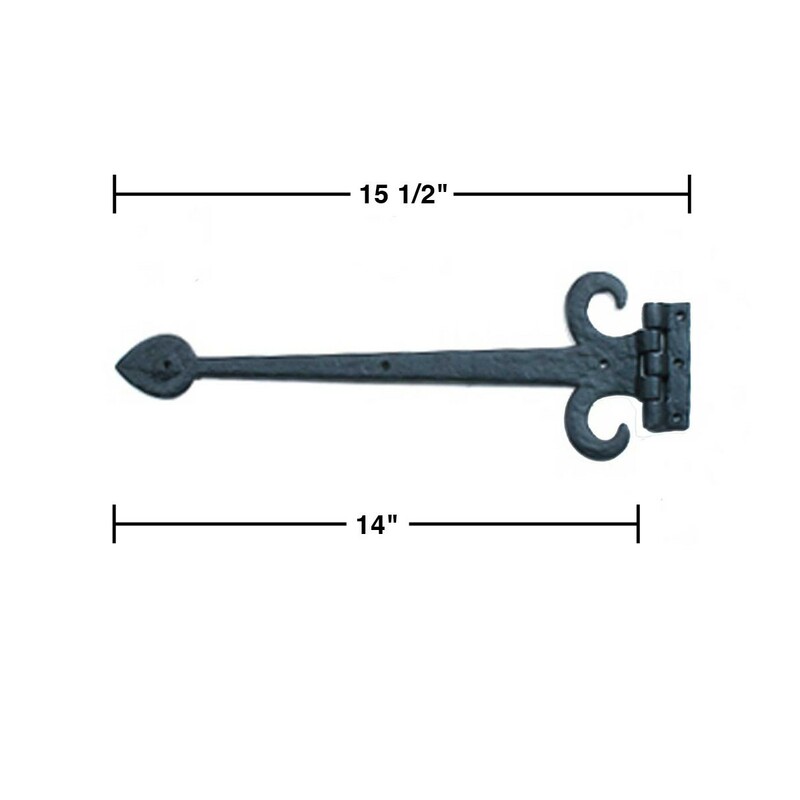 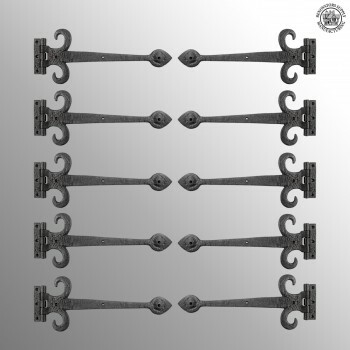 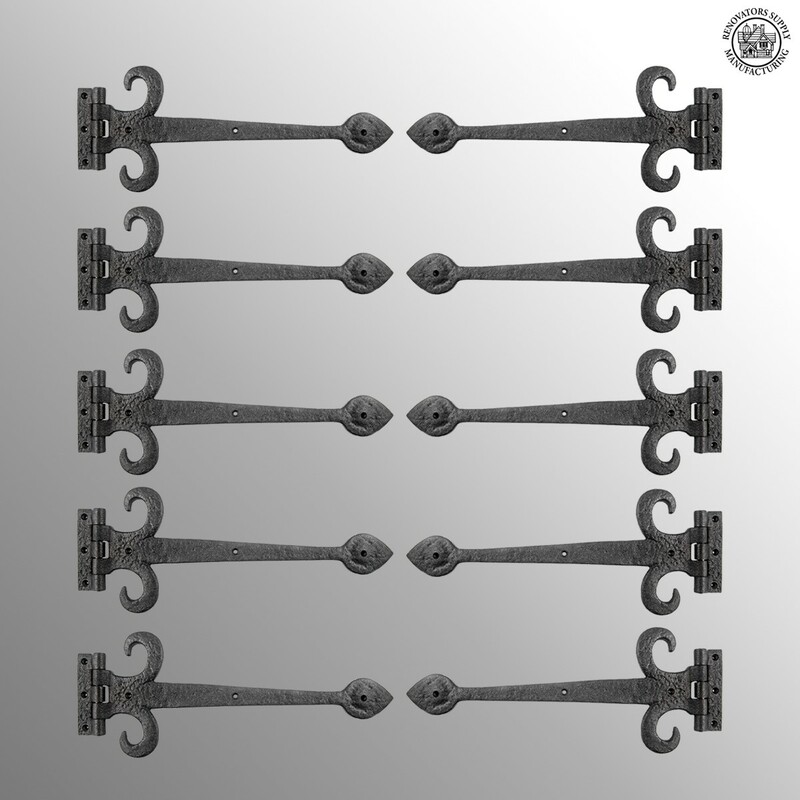 10 Wrought Iron Strap Hinge Fleur de Lis Heavy Duty 15-1/2"
(10) pieces These French-style strap hinges crafted of wrought iron are popular on cabinet doors, doors, armoires, and gates. 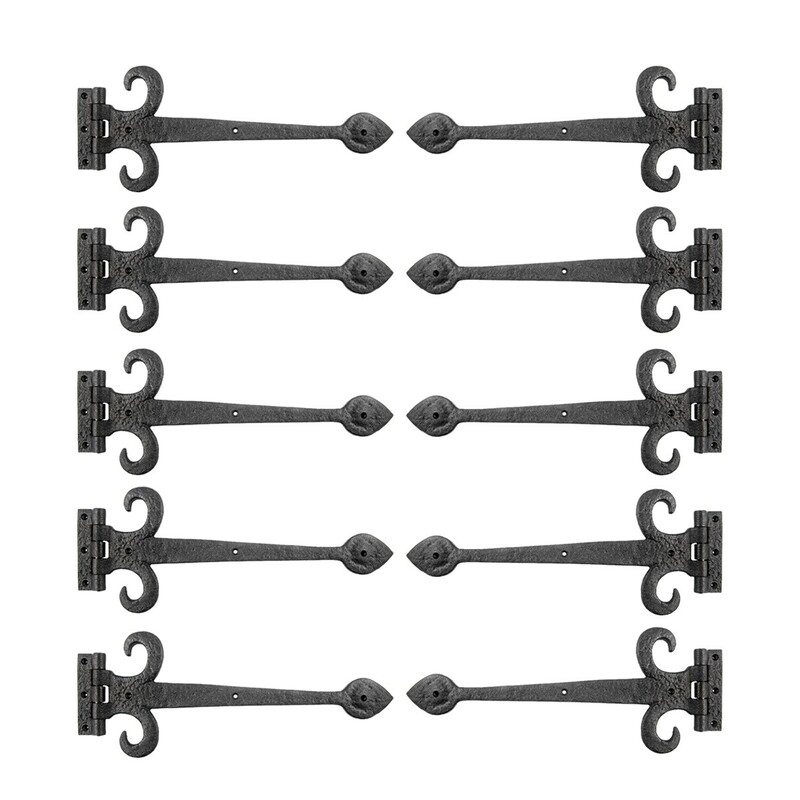 They make a fabulous detail for a modern sleek look or for that Old Colonial charm. 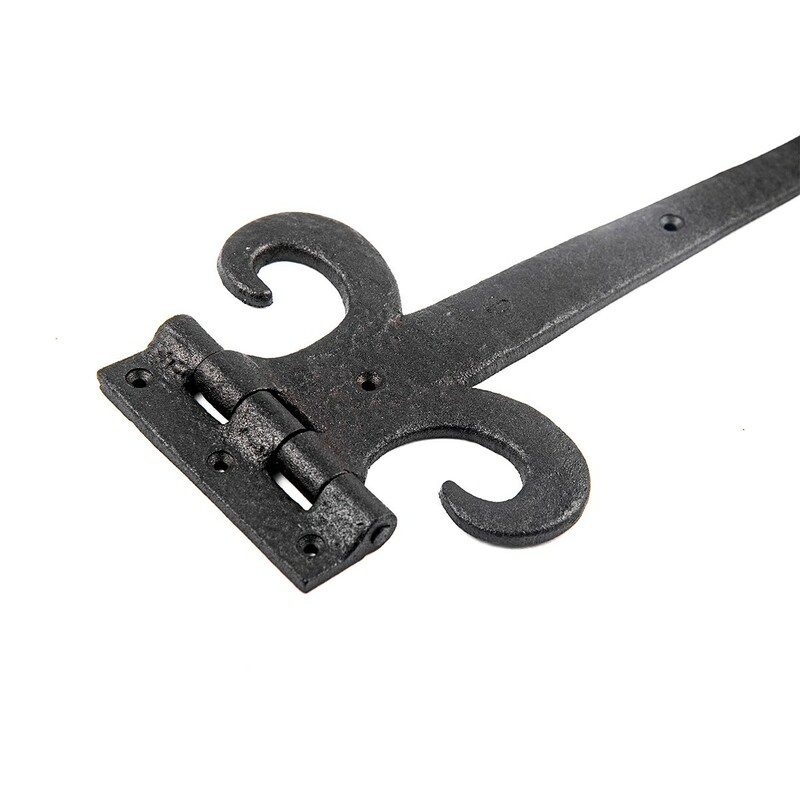 You can use these hinges to reclaim old doors, cabinet doors or update a piece of furniture or bedroom armoire. 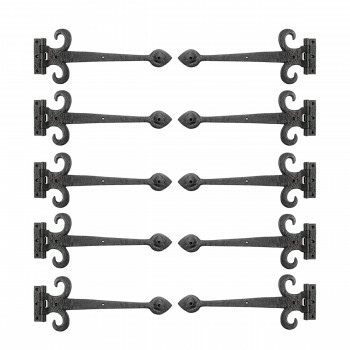 Our exclusive RSF coating protects them for years to come. Includes Slotted Pyramid Head Screws Intended for Indoor Use.